I found this recipe on this website. These were very simple and easy to make. I will make them every year, that is how easy they are! The most tedious part was unwrapping the Hugs. These were very yummy! Put the pretzels on a cookie sheet lined with parchment paper. 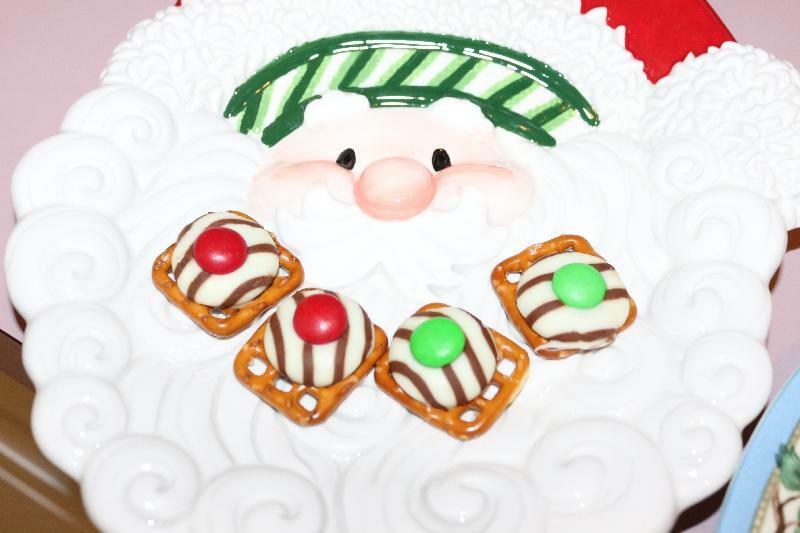 Top each pretzel with an unwrapped Kiss or an unwrapped Hug. Bake 4-6 minutes or until the chocolate is soft. Remove from the cookie sheet from the oven and quickly press an M&M onto each Kiss or Hug. Allow to cool for a few minutes. Then place the cookie sheet in the fridge for about 10 minutes.